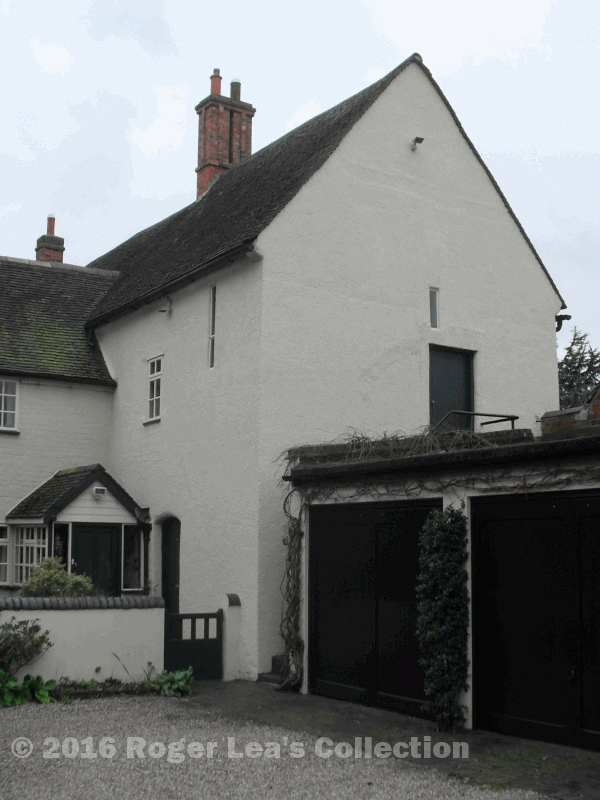 Sir William Dugdale, writing in 1656, says that Bishop Vesey built “51 Stone houses” and “began to set up a trade of clothing” in Sutton, while a more contemporary writer, Leland, who visited Sutton in about 1540, reported that Vesey built stone houses and “planted his poor kinsmen in them.” Warren House Farm off Walmley Road is one of these stone houses, dating from c.1530. The stone walls of Warren House are rendered and whitewashed, a brick wing was added in 1671, and it is now hemmed in by a new housing estate, so its identity is well hidden. However, it has the stone spiral staircase, massive beams and projecting chimney typical of the Bishop Vesey stone houses; it is slightly larger than the others, being 33 feet 6 inches long (10¼ metres). The house was built near New Hall on the far side of a forty-acre field newly enclosed from the common and at the end of a long thin rabbit warren which extended as far as Reddicap Hill,. The field and the warren both belonged to New Hall, and Warren House was soon added to the New Hall estate. The farmland land belonging to New Hall was run from farm buildings at the home farm next door to the hall, but as extra land was purchased or reclaimed from the wild, so this land was added to the Warren House Farm. In 1824 Joseph Hill of Warren House had a farm of 120 acres while Isaac Grimley farmed 76 acres; Grimley’s fields were in the centre of the estate, while Hill’s were all round the edge, some as far away as Reddicap Hill. The Estate was owned by the Chadwicks, and included New Hall Mill - in the 1860s the Dutton brothers were the tenants of Warren House Farm as well as having the lease of the mill. The New Hall estate was purchased in 1903 by Walter Wilkinson; he removed the farmyard from New Hall to a new site away from the hall at New Hall Farm and re-allocated the farmland so that the northern half pertained to New Hall Farm and Warren House had the southern half. Farming came to an end in 1990 when part of the land was given to New Hall Valley Country Park. Housing development took the rest, including the refurbishment of Warren House and the conversion of its large barn. Warren House Farm, a Bishop Vesey Stone House.